In baked goods like cakes, eggs add flavor, moisture, texture and height to the finished product. If you are a strict vegetarian or vegan, are allergic to eggs or have been placed on a cholesterol-restricted diet by your doctor, you will need to replace some or all of the eggs called for in your cake recipes with an ingredient that can give you similar results. In an interview on The Kitchn, vegan cookbook author Annie Shannon advises that mashed or pureed fruit like bananas can serve as a substitution for eggs in baked items like cakes. Check the cake mix instructions. Plan on using one medium-sized banana -- or about one-quarter cup mashed -- for every whole egg you plan to replace in the recipe. 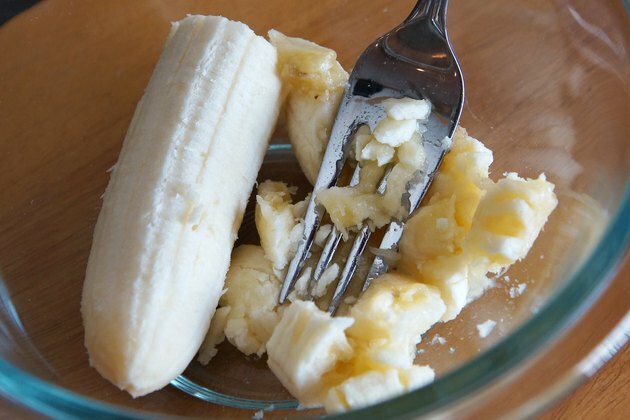 Unpeel the bananas and place them in a large bowl. 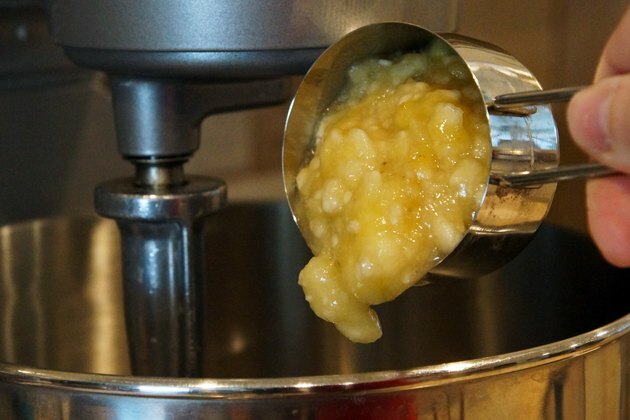 Use a potato masher or fork to mash the bananas until all large chunks are gone and the mixture is smooth. Prepare the cake mix according to the recipe, adding the bananas when the instructions tell you to add eggs. 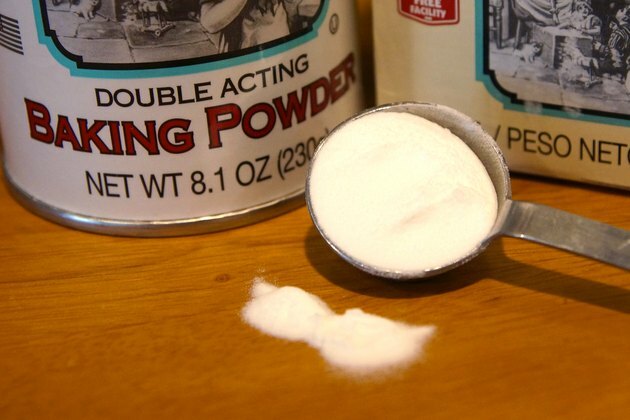 Increase any leavening agents such as yeast, baking powder or baking soda by 25 to 50 percent in the cake batter mixture. Bake the cake for the amount of time recommended in the recipe. 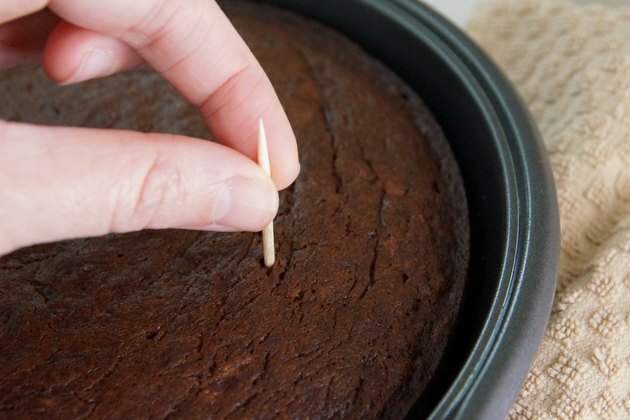 Use a toothpick or thin-bladed knife inserted into the center of the cake to check for doneness. Return the cake to the oven for five minute intervals if it is not completely set, rechecking after each interval until the cake is done. Cakes made with bananas instead of eggs may not rise as high and may take longer to bake. Experiment with replacing only half of the eggs in a cake recipe with bananas if you dislike the results after replacing all of the eggs, and if your dietary restrictions allow. Besides cakes, you can substitute mashed bananas for eggs in brownie and quick bread recipes. Sara Moulton: Eggs - What Do Eggs Do In Baking? 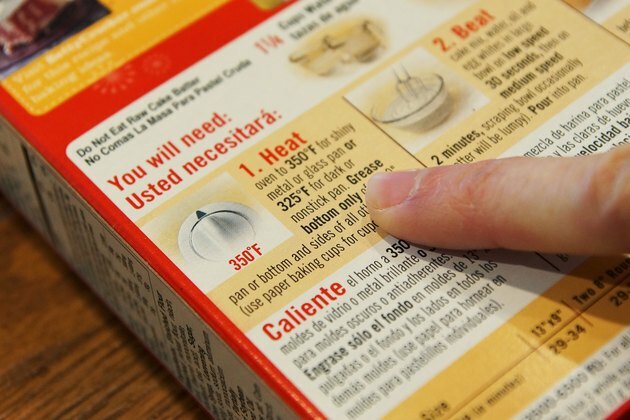 What Can I Bake With Sugar, Flour, Milk, Butter & No Eggs?